Synopsis: The legendary videogame Dragon’s Lair was a blockbuster (and quarter guzzling) sensation when it first debuted, spawning sequels, imitators, and a beloved Saturday morning cartoon series. 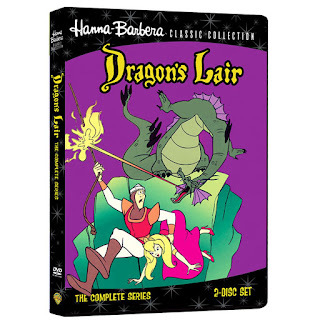 Developed by the powerhouse animation crew put together by Joe Ruby and Ken Spears, the Dragon’s Lair cartoon made many contributions to the Dragon’s Lair saga, from naming the Dragon “Singe” to rounding out the cast with such memorable supporting players as Bertram the horse (voiced by animation legend Peter Cullen) and Timothy the squire (voiced by Michael Mish). Mimicking the action of a videogame, Dragon’s Lair pauses the action and asks the audience which action Dirk should take next in his never-ending quest to protect the kingdom of King Ethelred and his beloved Princess Daphne. But enough talk! Dirk the Daring faces doom throughout this 13 episode, 2-disc set and he needs YOU to help him decide what to do next! Review: Dragon's Lair was a very popular video game back in the 1980s. I used to play this on the original Nintendo back in the day and it was a fantastic game. 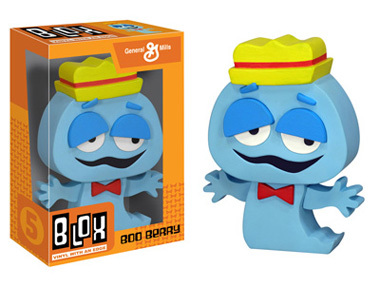 The cartoon spawned from the game and sported a nearly identical animation. The show even played out like the game, which was an absolute blast. Although it was short lived, only 13 episodes in all, it was a really well done and fun show. This Ruby-Spears classic is available for the first time on DVD through the Warner Archive on wbshop.com only. This cannot be found in-stores! This one was overshadowed by other video game cartoons like Captain N and Mario Bros./Zelda, but it was a great show and definately deserves some due attention! 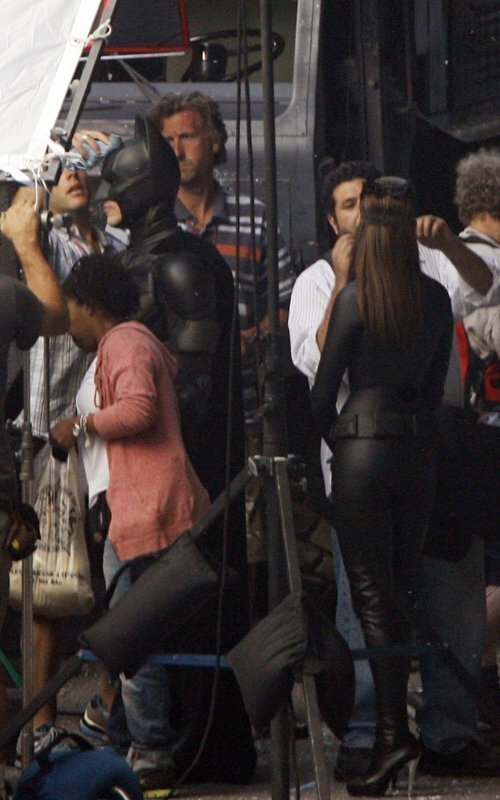 ON THE SET OF THE ULTIMATE SUPERHERO MOVIENEW YORK – What do you get when you put Marvel’s biggest superheroes in a room together? 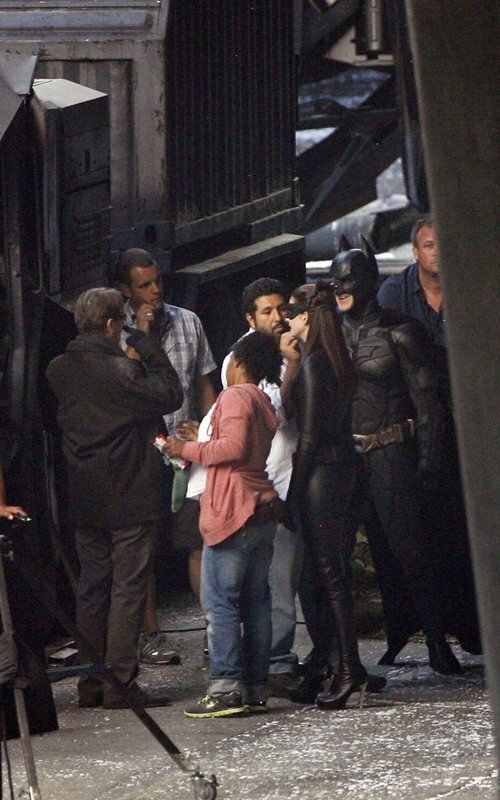 In this week’s cover story, Entertainment Weekly went to the set of The Avengers to find out. 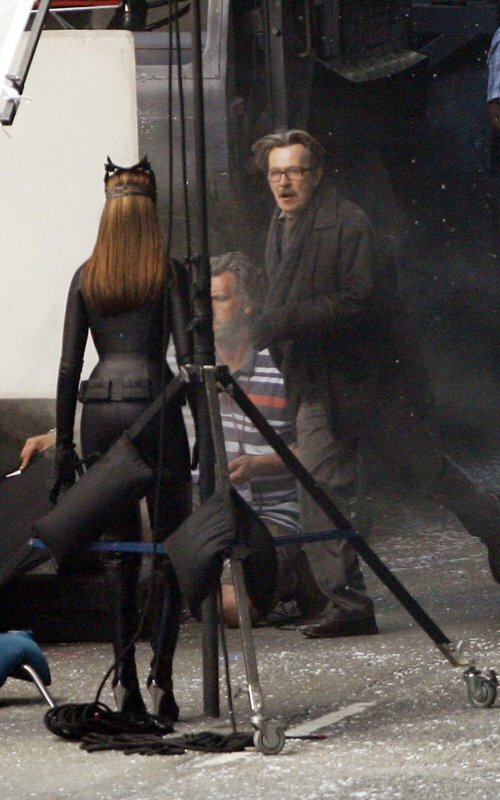 For Avengers aficionados, there will be plenty of details to debate and drool over between now and May 4, 2012, when the film launches next summer’s movie season. But the lure of the film, particularly for casual fans, is simply seeing the buff and (mostly) brainy all-star team—Iron Man (Robert Downey, Jr.), Thor (Chris Hemsworth), Captain America (Chris Evans), The Hulk (Mark Ruffalo), Hawkeye (Jeremy Renner), and Black Widow (Scarlett Johansson)— standing united at the law-enforcement agency S.H.I.E.L.D., which dispatches them in a giant flying helicarrier to danger zones around the world. About the Book: Over 24,000 items with checklist-style listings, over 12,000 color photos, and accurate estimated values make this collector s guide a must-have for everybody who has ever owned merchandise produced for the Star Wars saga or who is selling or buying it now. Items have been collected from over 50 countries and compiled together into this impressive tome, the latest version of the longest running Star Wars identification guide series ever in print. This new edition covers the range from Advertising and Dart Boards to Squeaky Toys and Window Clings, everything, that is, except toys a category so large it will now comprise its own book. From the 1976 pre-release movie paperback through the latest Clone Wars kitchenware, thirty-five years of exciting and obscure Star Wars collectibles are archived here for you to discover, marvel over, and enjoy. Our Take: Star Wars is one of the most collected franchises in history. Its without a doubt the most popular film franchise, as well. 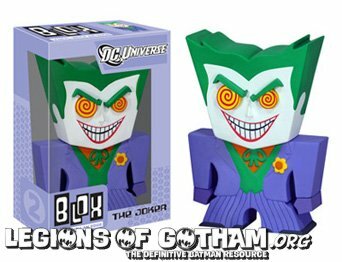 Thousands of fans have amassed gigantic collections of product from comics to toys, keychains, statues and dozens of other collectibles. This particular collectible guide, published by Shiffer books, is a new frontier in record keeping. Any serious collector knows that after awhile you begin to lose sight of not only what you have in your collection, but also what all is out there. When you have product like Star Wars that has been licensed for decades internationally its nearly impossible to keep track of it, unless you're completely obsessive! 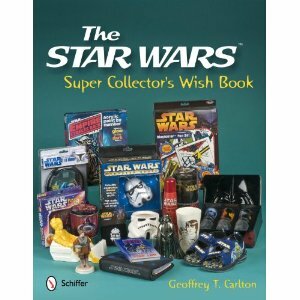 The Star Wars Super Collector's Wish Book gives you insight on thousands of products with a TON of great full color images. I learned SO much about what is out there that I had no idea. This book features everything you can imagine from the original trilogy up to the prequels...from books, keychains, cups, pins, electronics and patches to dozens of other items. 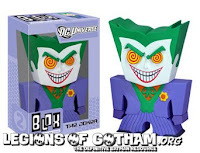 This one is absolutely priceless to anyone looking to get into collecting or even the most seasoned of collectors! We absolutely love it. LOS ANGELES (September 28, 2011) – Saban Brands announced today a forthcoming multi-platform national Halloween safety campaign featuring the Samurai Power Rangers, along with additional activities for their Power Rangers emPOWER initiative for fall 2011. Beginning next month, Saban Brands will launch a multi-platform campaign focused on Halloween safety featuring the Power Rangers, designed to reach parents and children at schools, in theaters, online, and at home. 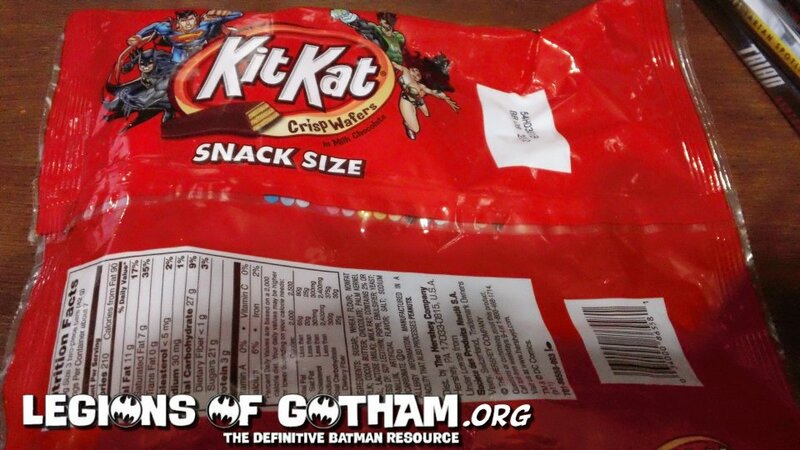 · Do not eat unwrapped candy. · When trick-or-treating, make sure to also take a glow stick or flashlight, or add reflective tape to your costume so that cars may more easily see you. 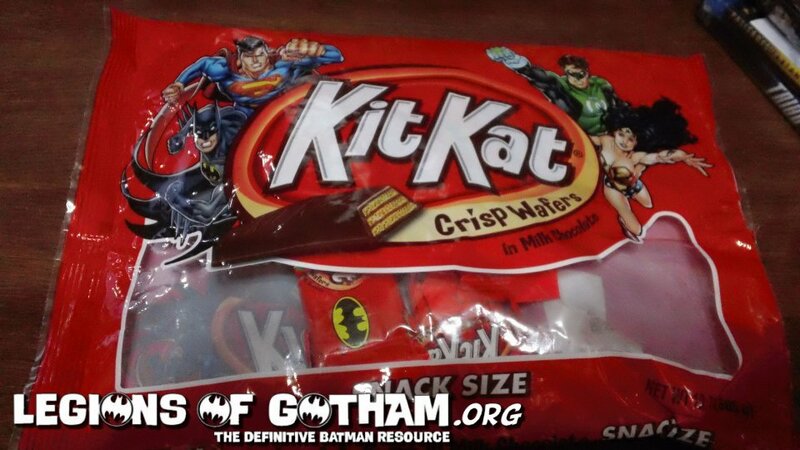 · Never go trick-or-treating alone. Use teamwork and stay in groups or with a parent. Special bulletin board posters reinforcing safe trick-or-treating guidelines will be distributed to 5,000+ elementary schools across the country. Also, online, kids can visit powerrangers.com/Halloween for more Halloween Halloween safety tips, videos, activities, games and resources throughout the month of October. The Power Rangers will also be reaching parents and kids through some of the most popular parenting blogs, entertainment websites, and gaming portals. As part of Saban Brands and Power Rangers’ commitment to promote the health and well being of millions of young Power Rangers fans nationwide, additional initiatives tied to the Power Rangers emPOWER program are also scheduled for this fall, including Nickelodeon’s Worldwide Day of Play, a partnership with Every Body Walk!, where the Rangers will participate in Walk To School Day, and the newest cycle of the Power Rangers emPOWER Sweepstakes. Power Rangers emPOWER was developed in conjunction with the hit television series Power Rangers Samurai to inspire kids and families to put the Power Rangers values of teamwork, confidence, health and physical activity into action. The initiative shows kids and parents how to make healthy choices through programs at schools, online, and at live events in local communities. On September 24, the Power Rangers participated in Nickelodeon’s Worldwide Day of Play, which was the biggest celebration of active play in the eight-year history of the initiative. Nickelodeon and its partners hosted an entire day of activities and games for kids and families on the Ellipse in Washington, D.C. to encourage active and healthy lifestyles. Additionally, Nickelodeon’s networks and websites went dark from 12 to 3 p.m. (ET/PT) as a signal to kids and families to get up and get active. Leading up to the D.C. event, the cast of Nickelodeon’s hit series Power Rangers Samurai starred in a special PSA promoting Worldwide Day of Play that is airing exclusively on Nickelodeon and online at Nick.com. Beginning this month, Power Rangers emPOWER is partnering with Every Body Walk!, an online educational campaign aimed at getting Americans up and moving. Every Body Walk! and Power Rangers emPOWER are launching a new program focused on encouraging kids to walk to school for health and fitness. As part of this new initiative, Every Body Walk! included the Power Rangers in their upcoming “Walking School Bus” event at the Center for Total Health in Washington, DC on September 23. This event brought together educators, kids, parents, and health professionals to encourage kids nationwide to walk to school. This event also raised awareness of “Walk To School Day” on October 5. The Power Rangers will celebrate this year’s “Walk To School Day” by accompanying students in Los Angeles as they walk to school, taking part in a national campaign that is activated at more than 5,000 schools nationwide. Once again, the Power Rangers emPOWER Activities Kit Sweepstakes is offering schools and youth organizations the chance to win a $10,000 donation and a visit from the Power Rangers by activating “Ranger Training” within their organizations. Schools and local non-profit community groups can enter now through November 11, 2011. For more information on how to enter, along with parenting tips, healthy recipes, and news about upcoming live Power Rangers emPOWER events, please visit PowerRangers.com. Combining comedy with action-filled storylines, the all-new half-hour series Power Rangers Samurai features a new cast of Rangers and never-before-seen villains, as well as high-octane action, martial arts and advanced special effects. From SCG Power Rangers LLC, an affiliate of Saban Brands, the long-running hit kids’ TV phenomenon, now heading into its 19th season, is helmed by Haim Saban, who created and produced the original “Mighty Morphin Power Rangers” series in 1993. New episodes premiere Saturdays at noon (ET/PT) on Nickelodeon. Following its introduction in 1993, Power Rangers quickly became the most watched children’s television program in the United States. Emphasizing the importance of teamwork, responsibility and helping others by following the adventures of a group of ordinary young people who “morphed” into superheroes, the series was seen in more than 60 countries, translated into numerous languages, and was a mainstay in the most prominent international children’s programming blocks. Since the debut of Mighty Morphin Power Rangers in 1993, the Power Rangers have been role models for generations of children. Through Power Rangers emPOWER, the Rangers from the #1 kids’ action series Power Rangers Samurai are teaching kids and families how to put the Power Rangers values of teamwork, confidence, health and physical activity into action. Developed in partnership with leaders in children’s services, this initiative has successfully been activated in more than 5,000 school programs nationwide as well as online and at live events. Just as the Power Rangers use teamwork to solve a different challenge in every episode, Power Rangers emPOWER provides parents and community leaders the tools they need to work together to grow healthy kids. This initiative is positive and fun, emphasizing kids’ strengths and potential by providing children and parents with accessible resources to reinforce healthy choices. Every Body Walk! is an online educational campaign aimed at getting Americans up and moving. Through the help of its partners, Every Body Walk! is working to spread the message that walking 30 minutes a day, five days a week really can improve overall health and prevent disease. Every Body Walk! provides news and resources on walking, health information, walking maps, how to find walking groups, a personal pledge form to start walking, as well as a place to share stories about individual experiences with walking. 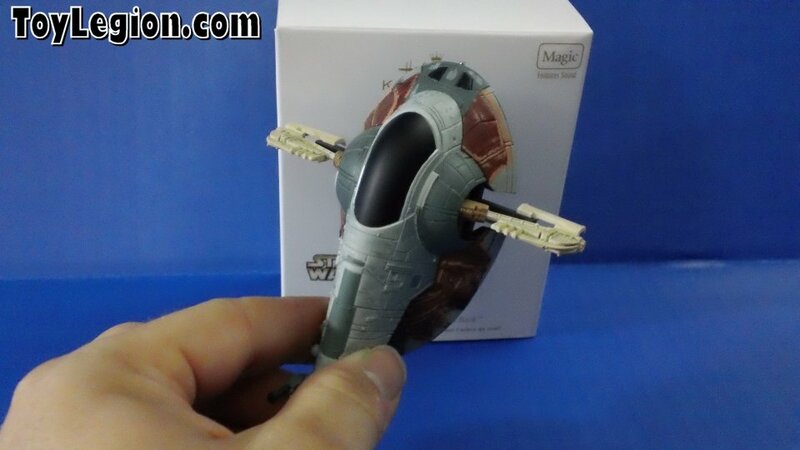 Product Spotlight: Hallmark Star Wars Slave 1 Ornament! 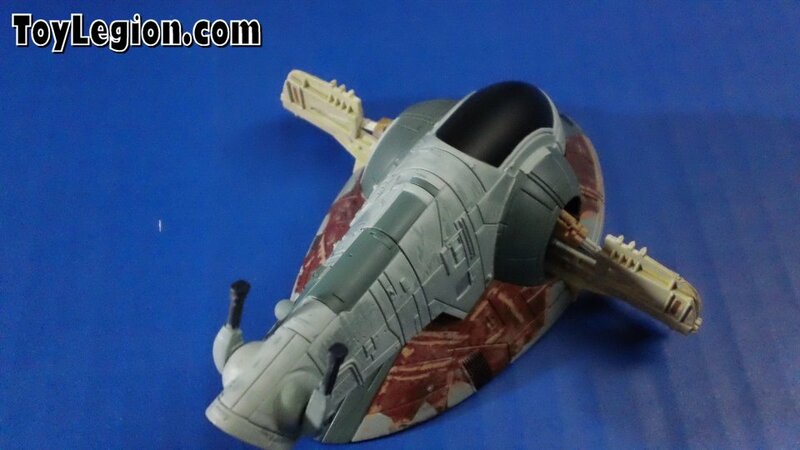 The newest Star Wars ship to be offered by Hallmark is Boba Fett's famous Slave 1 from the original trilogy. 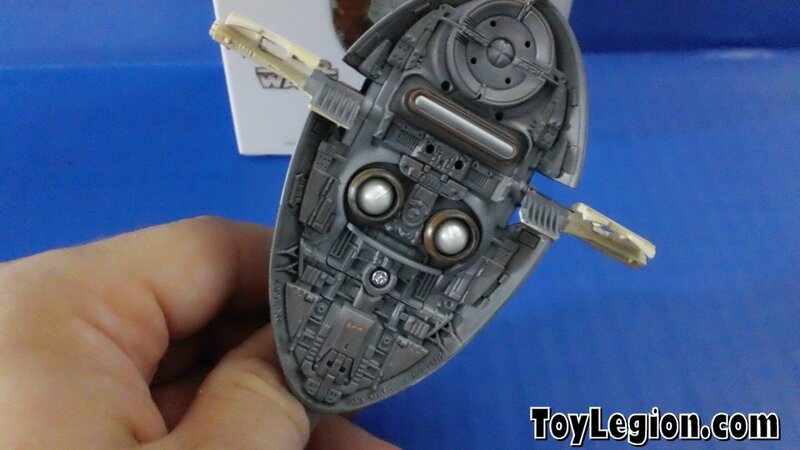 The ship has a tremendous level of detail, as you can see by the pics. The price tag is a bit higher, but its well worth the cost! 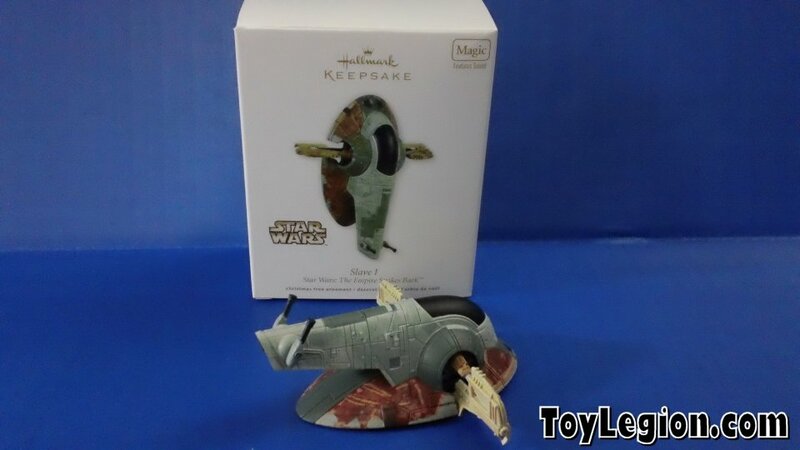 This is a must for any Star Wars fan or collector. 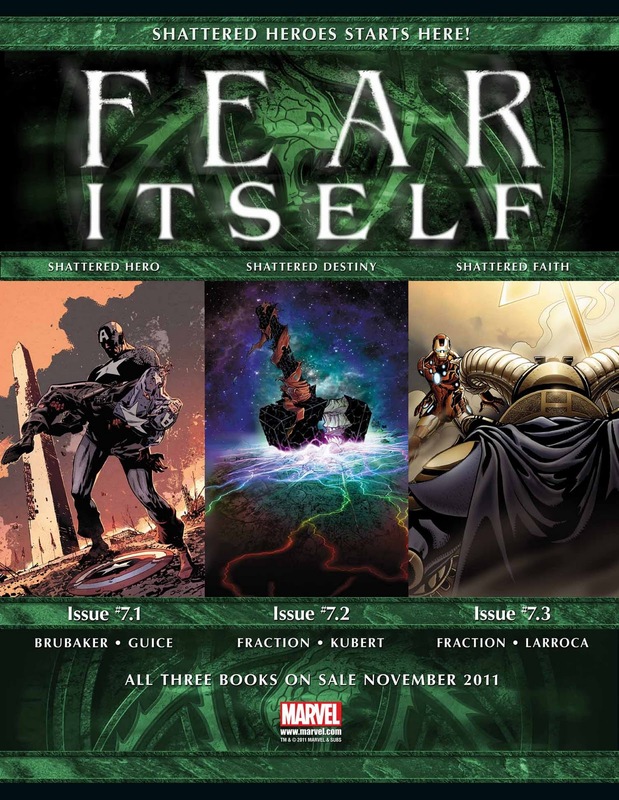 Catch The Earth-Shattering Fallout From FEAR ITSELF! 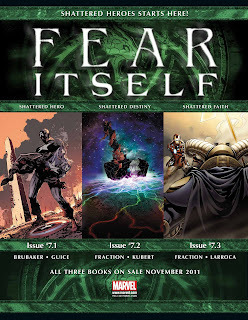 Following the catastrophic events of Fear Itself, Captain America (Fear Itself #7.1), Thor (Fear Itself #7.2) and Iron Man (Fear Itself #7.3) must come face to face with their tragic losses. 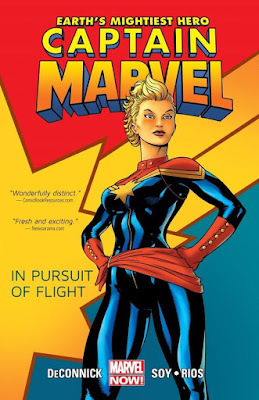 Leading into the next big story arc for each member of Earth’s Mightiest, no fan can miss these emotionally charged issues that will change these heroes forever. Shattered Heroes starts here! 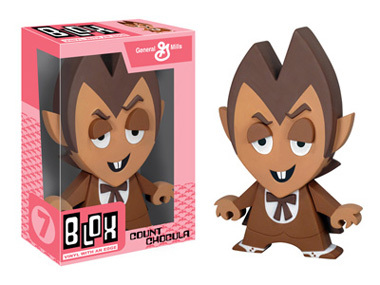 BLOX: Urban Art with distinctive cut-out styling and sculpted details, which are displayed in a mostly flat way. These stand freely at 7" tall and they measure 1.5" in depth. Fantasy football provides an outlet for good-natured competition and camaraderie between friends and colleagues, but that’s not always the case. 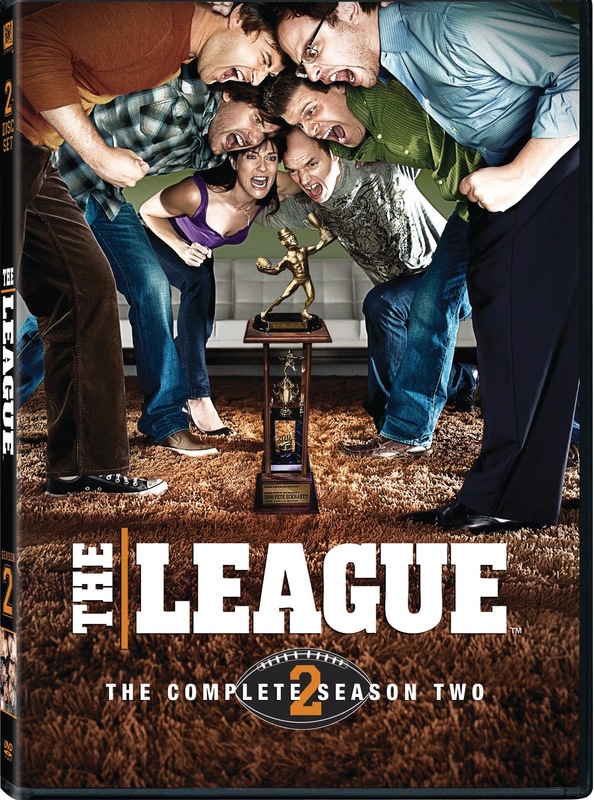 Deception, one-upmanship, and win-at-all-costs mentality rule the day on the virtual gridiron and then extend into personal relationships, marriages and the workplace, in THE LEAGUE: THE COMPLETE SECOND SEASON, arriving on Blu-ray and DVD October 4. To get you ready for the release, we’ve compiled an overview of the cast and their “League” characters. 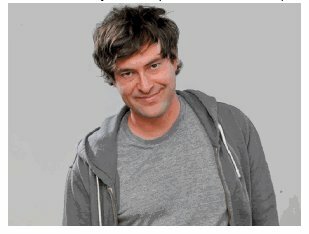 Mark Duplass portrays Pete Eckhart, and originally hails from New Orleans, LA. Mark is an accomplished actor, director, producer and screenwriter. Mark has written, directed and produced numerous films with his brother, Jay, including The Puffy Chair and Cyrus. Mark is married to his co-star, Katie Aselton. Mark’s character, Pete, is the three-time champion of the league. Currently single, he has tried meeting women on several occasions, and has a small reputation in the league for tricking his friends into making bad player trades. Stephen Rannazzisi, who plays Kevin MacArthur, is originally from Smithtown, NY, and has previously appeared in Paul Blart: Mall Cop and “Samantha Who?,” and is currently on the NBC show “Love Bites.” Stephen’s character, Kevin, is a district attorney and the league commissioner. He has used his influence in the DA's office to garner good trades and draft positions from Ruxin, in return for reduced sentences for Ruxin's clients. Kevin often takes his football knowledge from his wife, Jenny. 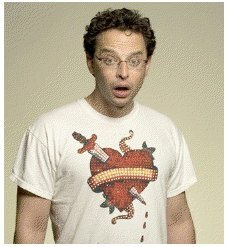 Nick Kroll hails from Rye, NY and is an actor and comedian. Nick is probably best known for appearing in the shows “Best Week Ever,” “Cavemen,” and “Sit Down, Shut Up.” Nick was also a contributing writer to “Chappelle’s Show” and “Human Giant.” Nick’s character, Rodney (thought he prefers to be called Ruxin), is a Jewish product-liability attorney who will go to great lengths to do well in the league, but has shown an eagerness to please his wife that surpasses his love for the league. Ruxin won the league championship at the end of season 2. 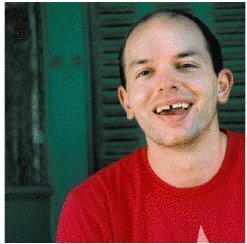 Paul Scheer is from Huntington, NY, and plays Andre Nowzik. Paul is a comedian, actor, writer and producer, and has appeared in many projects including, “Best Week Ever,” “30 Rock,” “Parks and Recreation,” “Yo Gabba Gabba,” Year One, and “Human Giant” (which he also co-created). Paul’s character, Andre, is a rich plastic surgeon whose naïveté makes him the brunt of many jokes. He won the league championship at the end of season 1. Andre has hosted the last two drafts; the first season he hosted at his house and the second season in Las Vegas. 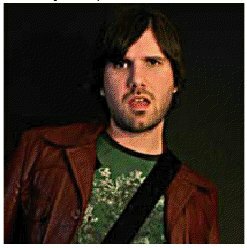 Jon Lajoie is a man of many talents, one of which is portraying Taco MacArthur. Hailing from Montreal, Quebec, Jon has gained fame as an actor, comedian, rapper, singer, musician and Internet celebrity. Jon’s character, Taco, is Kevin's younger brother. Taco is perpetually stoned, and an unemployed musician; He doesn't care or know much about football, but has won the League Championship at least once. Taco takes martial arts, and is studying the art of naginatajutsu. He means well, but his acts of kindness usually have disastrous results. 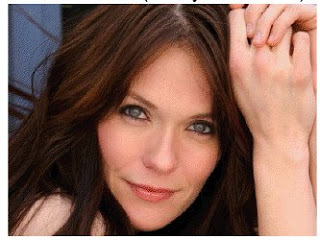 Kate Aselton, who plays Jenny MacArthur, was born in Milbridge, ME. During her teen years, she competed in pageants, eventually becoming the first runner-up at Miss Teen USA 1995. Currently, Kate is a triple threat, directing, producing and acting in a number of different projects. Kate is married to co-star Mark Duplass. Kate’s character, Jenny, is Kevin's wife. Kate helps Kevin run his team with great zeal, though she was not an actual league member until the end of season 2 (not for lack of trying!). 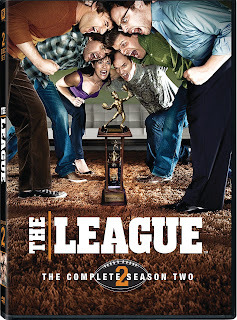 For your chance of winning a copy of The League Season 2 on DVD, simply answer the following question and send it to dvdlegion.com @ gmail.com. 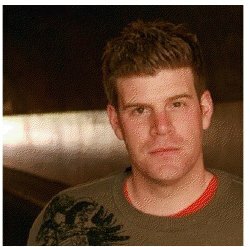 Stephen Rannazzisi portrays which League member? 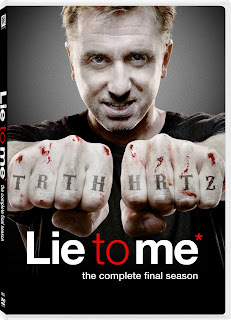 Complete your collection and experience the final adventure of this thought-provoking and highly addictive series when “LIE TO ME” The Complete Third and Final Season comes to DVD October 4th from Twentieth Century Fox Home Entertainment. Inspired by the scientific discoveries of a real life psychologist who can interpret clues embedded in the human face, body and voice, this enthralling drama series exposes the truth and deception in compelling mysteries. Follow Cal and The Lightman Group one last time as they tackle new investigations, detect deception, and take a closer look at their suspects and each other. Featuring an all-star cast, Dr. Cal Lightman (Tim Roth) heads a team of experts at The Lightman Group who assists federal law enforcement, government agencies, local police and private individuals with their most difficult cases by focusing on the details everyone miss. 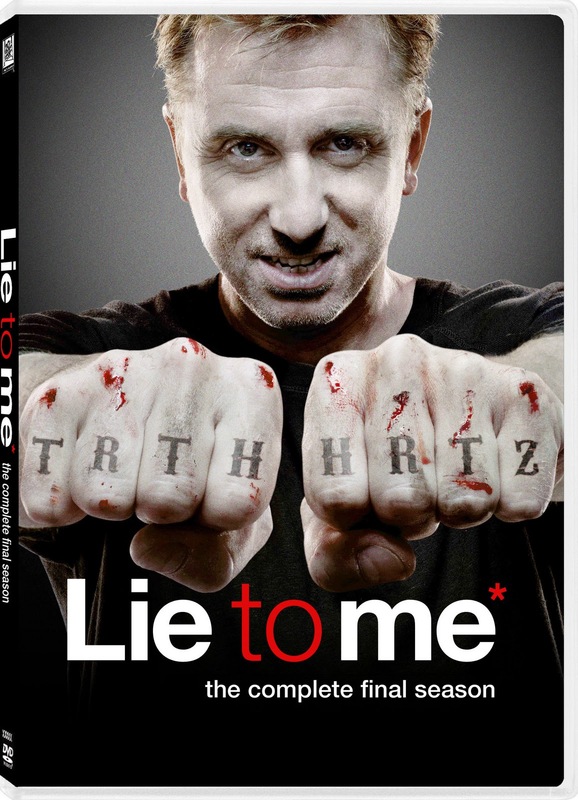 What does Dr. Lightman use to detect lies? Synopsis: Great for both toddlers and kids, CHRYSANTHEMUM…AND OTHER STORIES ABOUT MISCHIEVOUS MICE AND ADORABLE ANIMALS features over three hours of fanciful content starring a memorable collection of critters from all walks. Across three loaded DVDs, families can enjoy watching animated adaptations of such award-winning classics as “Chrysanthemum”, “Owen”, “A Weekend with Wendell”, “Make Way for Ducklings”, Is Your Mama a Llama?” and “Noisy Nora”, listening and reading along With celebrity narration by Meryl Streep, Sarah Jessica Parker, Danny Glover, and others! Encouraging a love for reading for the pre- and early reader and supporting self-esteem , growth and change, the individual DVDs – CHRYSANTHEMUM…AND MORE MOUSE MAYHEM, RAPUNZEL…AND MORE CLASSIC FAIRY TALES and IS YOUR MAMA A LLAMA?...AND MORE CLASSIC CHILDREN’S STORIES – feature 17 whimsical stories which, together, have captures more than 25 prestigious awards, including the Andrew Carnegie Medal for Excellence in Children’s Video and the Caldecott Honor. 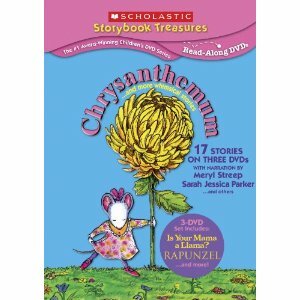 Review: Chrysanthemum is the second Scholastic Storybook DVD release that we're reviewing this week. As we said in our other review, these are amazing DVD sets that are safe, educational and fun. 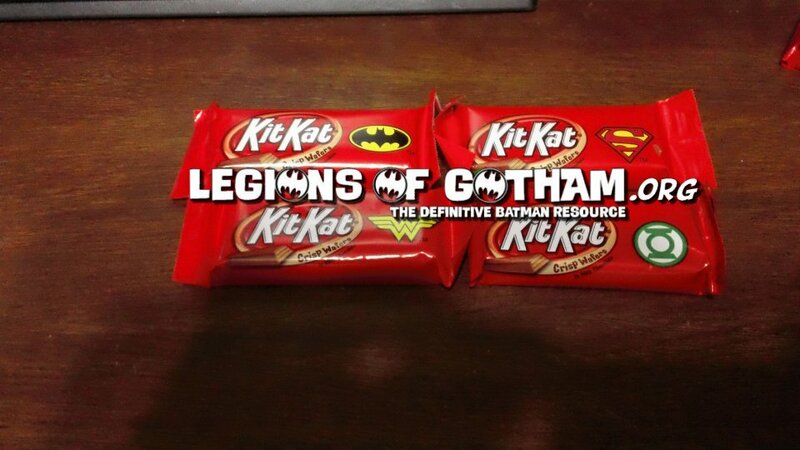 The perfect trifecta! This one has a bunch of diferent stories..in fact 17 to be exact. They are all read and enacted from fantastic books that are still read in schools. In fact, more often than not my daughter tells me she has read each book we see..and loves them all already! 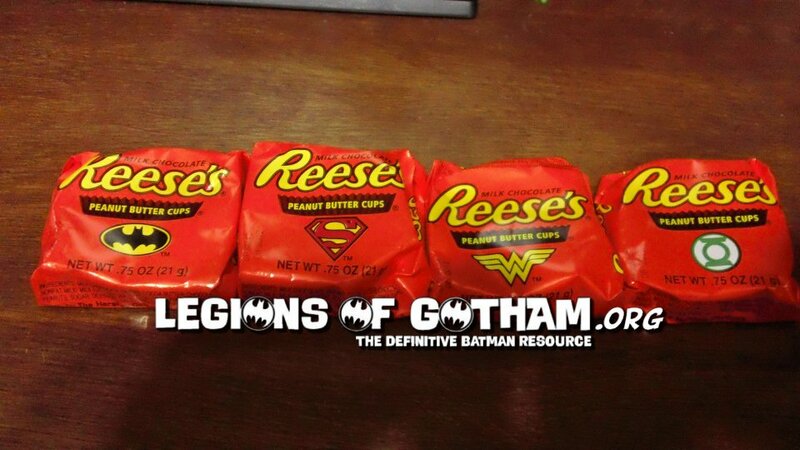 Here comes the Justice League! An all-star cast has been assembled to provide voices for the iconic team of superheroes in Justice League: Doom, the latest animated DVD-movie in Warner Home Video's series of DC Comics adaptations. Castle star Nathan Fillion will reprise the role of Green Lantern, which he first played in Green Lantern: Emerald Knights. 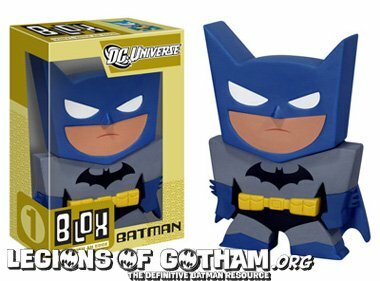 He'll be joined by Tim Daly and Kevin Conroy, the longtime voices for Superman and Batman, respectively. Rounding out the cast are several of Conroy's old costars from Cartoon Network's 2001-06 Justice League series (known as Justice League Unlimited in later seasons): Smallville's Michael Rosenbaum as the Flash, Alias alum Carl Lumbly as Martian Manhunter and veteran voice actress Susan Eisenberg as Wonder Woman. Cyborg, a character not seen on Justice League, joins the group for this movie and will be played by Bumper Robinson (The Game). 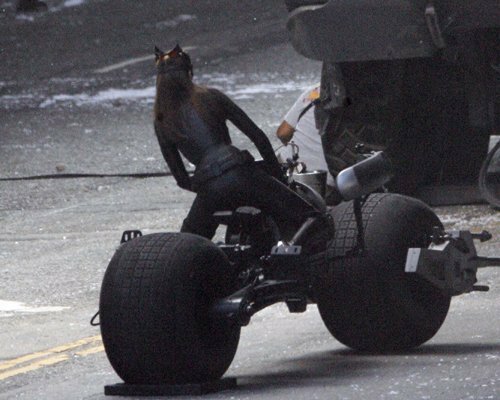 The movie, due to be released in early 2012 on DVD, Blu-ray, digital download and on-demand, is based on the popular DC storyline JLA: Tower of Babel, written by Mark Waid. 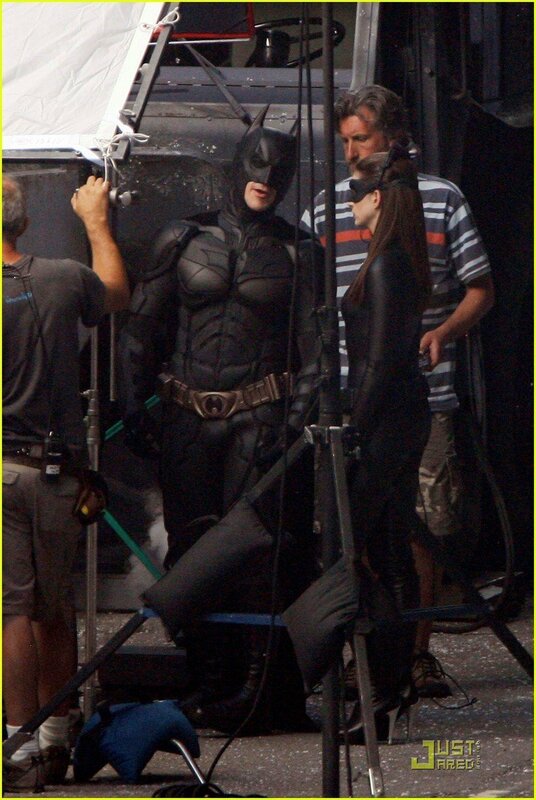 The plot: Batman's secret contingency plans to defeat his own teammates (should any of them go rogue) are stolen and put into action by a group of super villains. 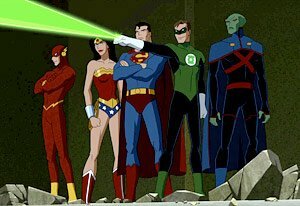 Once again running the show behind the scenes is executive producer Bruce Timm, the man responsible for dozens of beloved animated superhero projects, including the original Justice League. Lauren Montgomery, a veteran of several animated movies in this series, including the upcoming Batman: Year One, is the director. 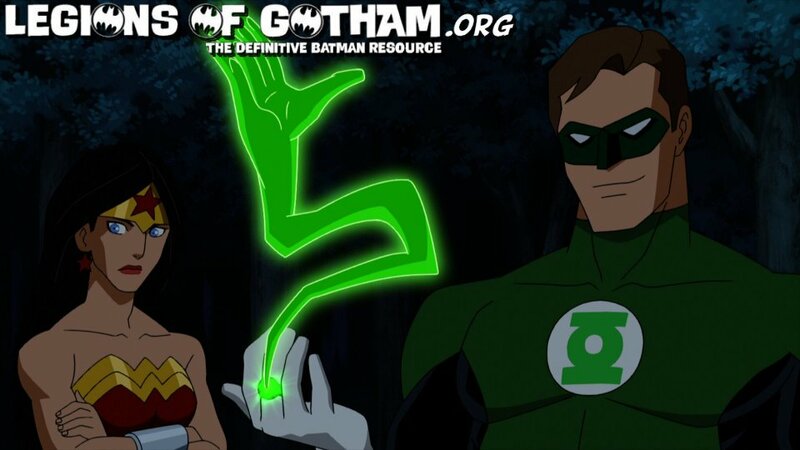 The script was written by acclaimed animation/comic book writer Dwayne McDuffie, who passed away earlier this year. 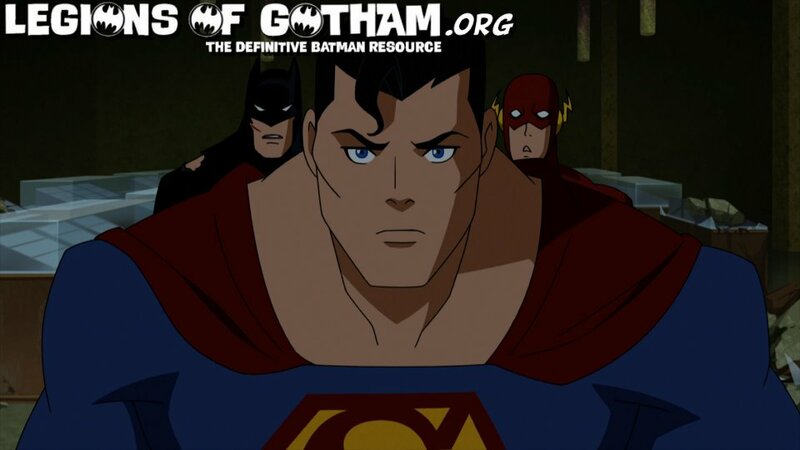 A trailer for Justice League: Doom will premiere at New York Comic Con on Friday, Oct. 14, and is featured on the Batman: Year One DVD, which goes on sale Tuesday, Oct. 18. Castle: Deadly Storm Appears on Tonight’s All-New Episode of ABC’s CASTLE! 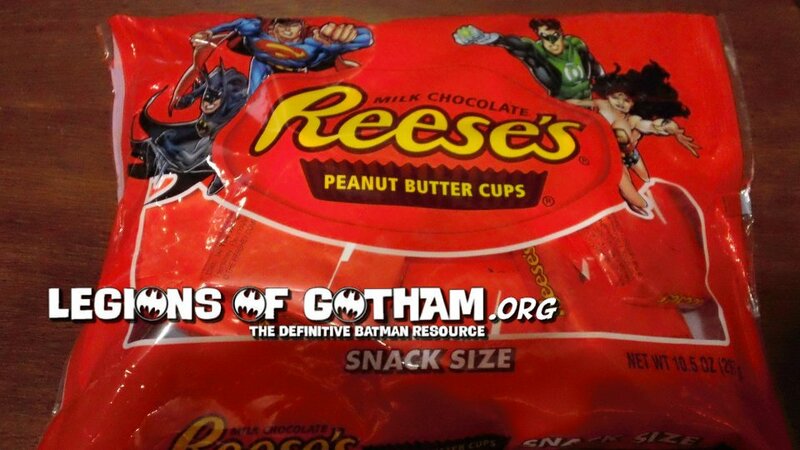 Do super heroes roam the streets of New York City? That’s the question everyone’s asking on an all-new episode of the hit series Castle, airing 10:01-11:00 p.m., ET on the ABC Television Network, which also features an on-air appearance the hotly anticipated Castle: Richard Castle’s Deadly Storm original graphic novel! When an ex-con is mysteriously slain in an alley, Castle and Beckett believe a vigilante is behind the murder. But efforts to identify their suspect are thwarted when they discover that he roams the city dressed as a super hero -- and may just be one! It’s a race against time to stop this killer before he strikes again! 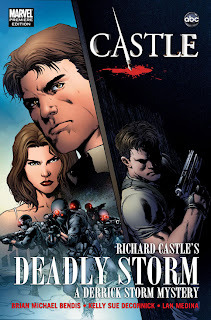 And don’t miss the release of Castle: Richard Castle’s Deadly Storm on September 28th, everywhere books and comics are sold, as well as on the Marvel Comics app for iOS devices. 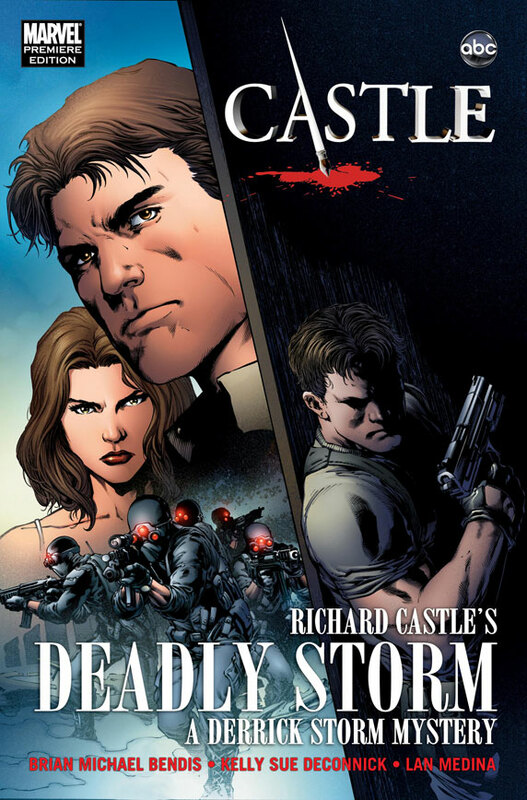 For more about Castle: Richard Castle’s Deadly Storm please visit ABC.com and Marvel.com. “Castle” stars Nathan Fillion as Richard Castle, Stana Katic as NYPD Detective Kate Beckett, Susan Sullivan as Martha Rodgers, Molly Quinn as Alexis Castle, Ruben Santiago-Hudson as NYPD Captain Roy Montgomery, Tamala Jones as Medical Examiner Lanie Parish, Jon Huertas as NYPD Detective Javier Esposito, and Seamus Dever as NYPD Detective Kevin Ryan. ABC Studios, part of ABC Entertainment Group develops and produces compelling programming for both broadcast network and cable television as well as digital platforms. ABC Studios has delivered some of the most successful, talked-about and evolutionary series on television such as Desperate Housewives, Grey's Anatomy, Lost, Criminal Minds, Army Wives and Brothers & Sisters. 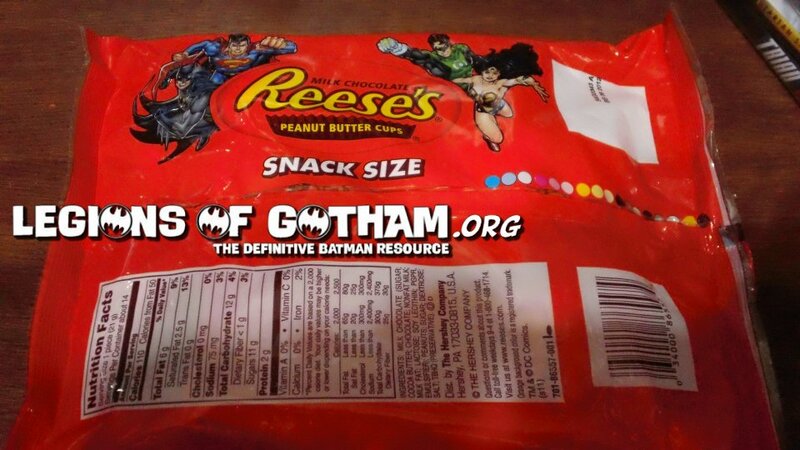 New Batman & Dc Themed Reeses and Kit Kat Candy. Just in time for Halloween. Synopsis: All-real supernatural adventures. The TAPS gang is back in action. Celebrate a milestone as America’s favorite paranormal investigators, the Ghost Hunters, kick off their triumphant sixth season with their live 100th episode. For this epic investigation, Jason, Grant and the rest of The Atlantic Paranormal Society take on their biggest case yet: Alcatraz, the former military prison known worldwide for the countless claims of paranormal activity witnessed within its walls. Other spine-tingling investigations this season feature some of the team’s most thrilling locales, including cases at the famous Philadelphia Zoo, the historic Otesaga Resort Hotel in Cooperstown and the home of abolitionist and author Harriet Beecher Stowe. Prepare to be scared with some of the most unforgettable episodes of the series. And don’t forget to leave the lights on. 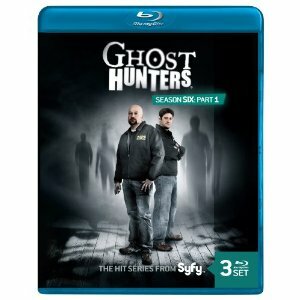 Review: The Ghost Hunters were the first group to air their paranormal exploits on television for all to see. A few other shows followed-suit, like Ghost Adventures, but the format isn't the same. Ghost Adventures is more about the personalities, while Ghost Hunters really is about the hunt! TAPS goes into some great historic sites this season..my favorite was definately Alcatraz! These shows really make even the most skeptical question what they know about life after death! This blu-ray is the first part of the season, the second is coming in October. Synopsis: This modern retelling of William Shakespeare's final masterpiece is an exciting, mystical and magical fantasy with Academy Award(R)-winner Helen Mirren (Best Actress, The Queen, 2006) leading a star-studded cast including Russell Brand (Get Him to the Greek) and Alfred Molina (The Sorcerer s Apprentice). Exiled to a magical island, the sorceress Prospera (Mirren) conjures up a storm that shipwrecks her enemies, and then unleashes her powers for revenge. 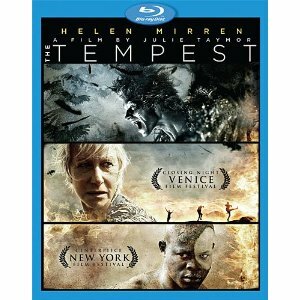 Directed by the visionary Julie Taymor -- and complete with exclusive bonus features and an Academy Award nomination for Best Costume Design (Sandy Powell, 2010) -- The Tempest, with its innovative twist, is a supernatural dramedy filled with Shakespearian villains, lovers and fools that will leave you spellbound. Review: The Tempest is the latest in modern re-imagining and re-tellings of Shakespeare's works. Based on the play of the same name, this film was directed by the revolutionary director of the film "Titus". Starring Helen Mirren...well, thats all I needed to know before I picked this one up! I knew she'd knock it out of the park, and she exceeded even our expectations! Her performance as Prospera is so well-played it'll blow you away. 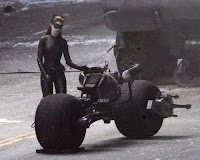 The film is a good follow of the play, with some great new attitude and visual effects. Its definately worth the watch. The special features on this blu-ray include: Los Angeles Rehearsal -- Features Julie Taymor, Dijmon Hounsou, Russell Brand & Alfred Molina, Raising The Tempest -- Julie Taymor Documentary About The Making Of The Movie, Julie Taymor Audio Commentary, Annotated Shakespeare -- View The Tempest With Audio Commentary By Renowned Shakespeare Experts Virginia Vaughan & Jonathan Bate, "O Mistress Mine" Music Video and Russell Brand Rehearsal Riff.